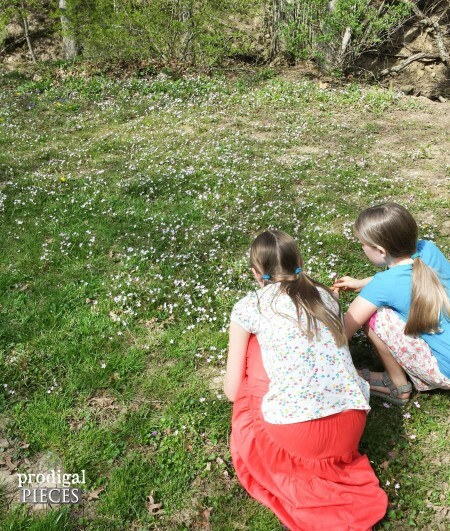 I have the pleasure of introducing you to one of my favorite bloggers: Larissa at Prodigal Pieces. 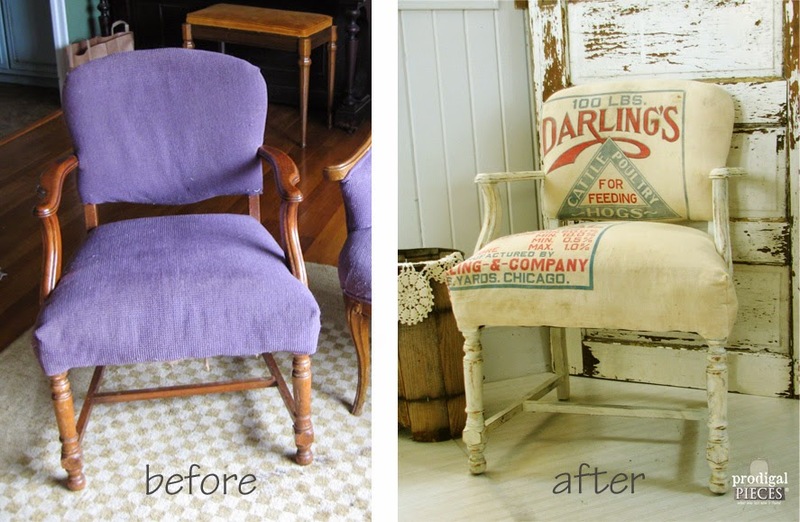 We have a lot in common — she loves to upcycle found objects and she’s busy renovating her home. I love her style, and I think you will, too. She just celebrated her two-year blogging anniversary, and I can’t wait to see the wonderful projects she shares in the future. I hope you all enjoy this new blog series. Take it away, Larissa! Hello! My name is Larissa and I am so excited to be sharing with Kim here on her wonderful blog. 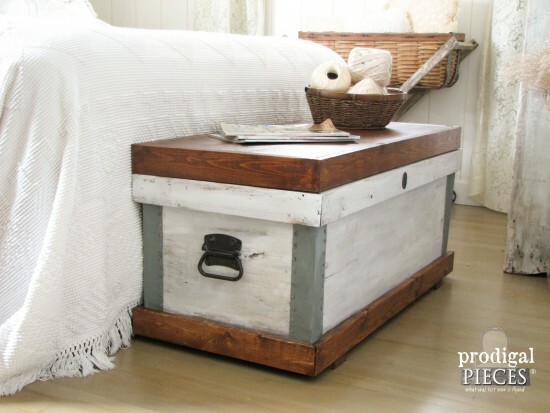 I adore Kim’s rustic style and have been following her for quite a while. 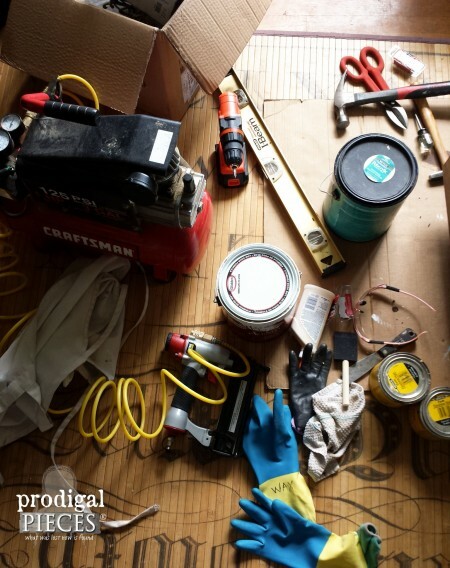 Much like Kim, at any other time, you can find me tiddling away one some DIY project on my blog, Prodigal Pieces, seeking out vintage finds or creating furniture for my shop. I crave all things vintage and have a passion for creating. 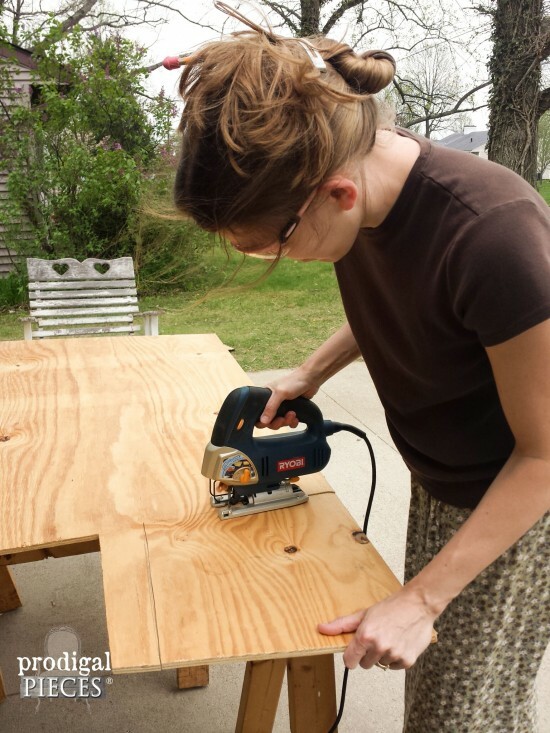 As part of the “Blogger Behind the Blog Series”, I get to step away from my tools for a bit and focus on the “other” me…the homeschooling mom of 6 kids, gardener, crafter, and just plain wife me. You see, just two years ago on Mother’s Day I decided to take a plunge and create a blog. Seriously, though before blogging, I didn’t even have a cell phone, give a hoot about Facebook or any social media, and would have been happy as a lark buying an Amish home (no running water or electric), and making a go of life in a simpler way. That was not what God had for me though…maybe one day. We are a family of 8 which requires A LOT of food, which requires money, which requires that one work. Big surprise, right? Well, I’ve tried over the years to find a way to earn from home and nothing quite stuck to me. My college degree really couldn’t be put to much use unless I made the most of the internet. I have been told year after year that I have such great ideas that I need to write about them. So, long story short, here I am and blogging along with my business, has been such an absolute blessing. Funny how things work out sometimes, right? One of our recent projects, a Pottery Barn knock-off. I will say without a doubt that connecting with people is by far the best aspect of blogging and getting to share my creativity comes second. Who can deny the warm fuzzies you get when a reader says, that I am an awesome inspiration and challenges them to try. Wow. I can say that my inspiration comes from God’s creation, and making use of all the He gives us. Amazing words, right? Now I may not agree with everything Edison stood for, but he had vision in this statement. I am thrifty, without a doubt, and take pride and not being wasteful as a large family. We try to reuse most everything we can, just like this piano face found during our junkin’ times in our Spring city clean-up. Any guesses how we put it to use? 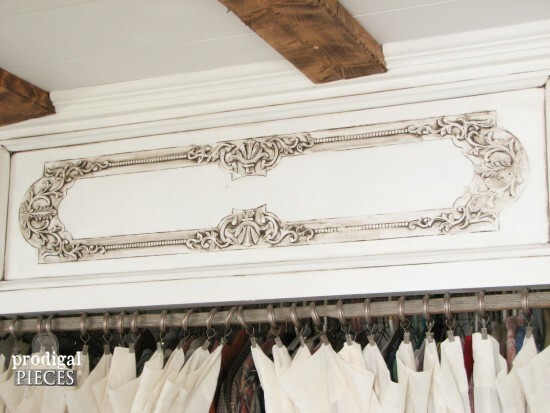 It became our closet transom in our recent bedroom remodel. 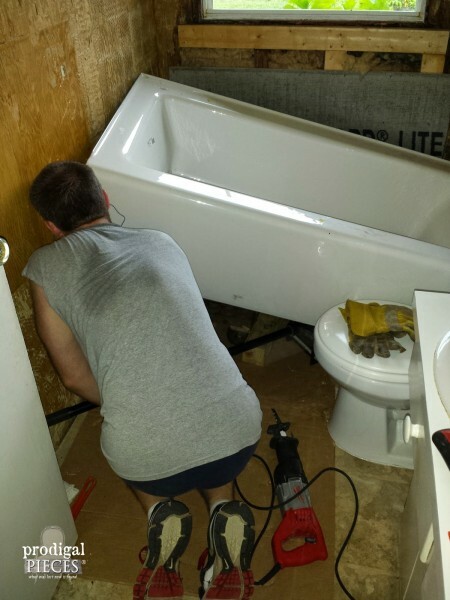 We are currently completing our bathroom remodel, and hope to have the reveal done soon. Doesn’t it look like fun? I am soooo glad I’m on this side of the camera. ahem.
. . . and to have more time to do things I also love, like sewing. Finally made myself a purse after being away from my sewing machine for TOO LONG! You see, our last few years have been filled with so much joy, but also struggle… just to make it. Our last little girl came early, which resulted in a 3 week stay in the NICU and left us with bills. But before that, the hardest things I had ever faced was saying goodbye to a perfectly healthy little girl we lost due to a medical condition that broke my water at 21 weeks. After that we lost another little one (I believe was a boy) at 11 weeks. We had about a 3 year break — (I had been either nursing or pregnant for 10 years straight) — and God directed me to begin this venture. Without a doubt, I believe He knew we would need my income. So, for now I blog, I paint, I create – the latter two I did regardless of blogging, but am so happy to share. What fun would it be if I couldn’t share my creations? My lifelong lesson (or the phrase my kids hear most often out of my mouth) is “Haste makes waste”. I tend to be quick to do things in some instances and am constantly mumbling to myself that quirky phrase. Sometimes being active can be my motivator, and at times I wish I could take a minute to slow down. One day my kids will be grown and I am trying to relish this sweet, precious time, though busy it may be. I had fun sharing with you today, and hope that you’ll pay me a visit and even say, “Hi!” because readers are why we do what we do in this blogging world. Thank you, Kim, for giving me this opportunity to take a break and share. Hi Kim. You chose a great person to share her story today. I found Larissa through Hometalk on one of her many projects. I actually accomplished an inspiration she gave me. And I could not be any happier with the end result. Larissa is an amazing person, helpful, beyond talented, kind, funny, helpful, and I could go on and on. 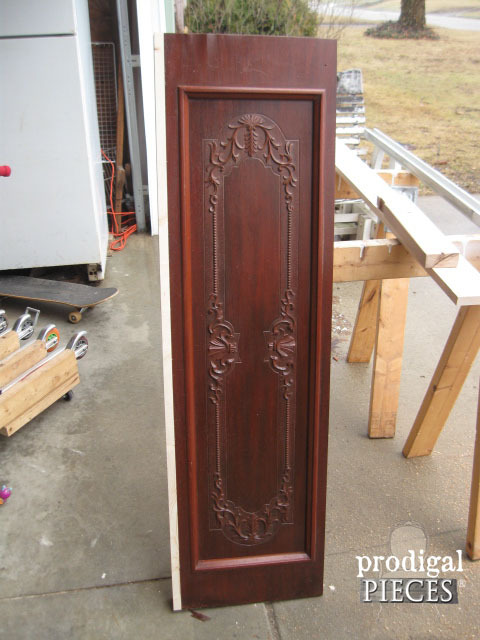 Prodigal Pieces is a fantabulous blog! Thank you both for inspiring every person you reach! 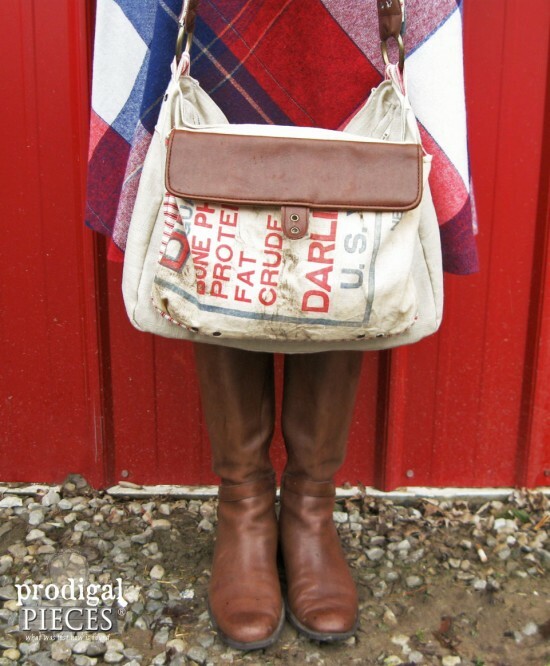 I love Living Vintage and also love and follow Larissa at Prodigal Pieces. I always get to see and read about awesome vintage that either gets refreshed or given a new life. Great jobs ladies! Wishing you all the best and looking forward to great reads ahead. Very creative Kim! New reader here. Having fun! Love learning new things from talented folks. Nice work,I really like it. Couldn’t imagine getting it all done with six kids! The piano face and chair looks great! So sorry about your losses. Keep up the good work – I enjoy, and am inspired by, your adventures.